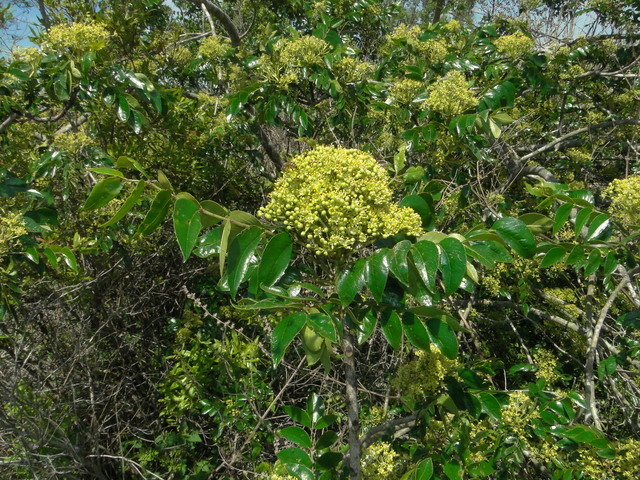 Zanthoxylum clava-herculis is a shrub or small tree, 3-15 m tall, trunks with large, broad-based prickles and corky knobs. Leaves alternate, pinnate, leaflets 5-19, lance-shaped, sides unequal. Flowers yellow-green, sexes separate; in large, branched clusters.